In this brand new nighttime spectacular, a magical spell is cast on Cinderella Castle and Guests are transported around the Kingdom of Dreams and Magic through dynamic visuals and memorable music. In addition to the images projected onto the castle, this grand spectacle features colorful fountains, vivid pyrotechnics, dramatic fire effects and lighting that illuminates the trees in the Plaza and fills the night sky. Cinderella Castle and the entire Plaza area are the stage for this dazzling nighttime entertainment. The show begins when Mickey Mouse makes his appearance as the orchestra conductor and opens the music score. When he waves his baton, Mickey finds that the music takes him and the audience on a magical journey around Tokyo Disneyland. 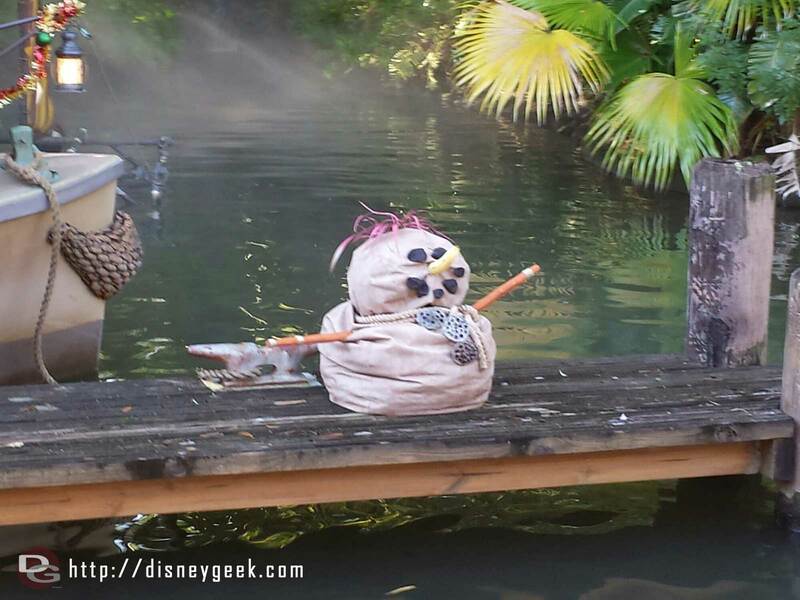 Guests witness the marauding pirates in Pirates of the Caribbean, the runaway mine trains of Big Thunder Mountain, the Disney Princesses waltzing in Fantasyland, space voyages in Tomorrowland and other scenes from the different themed lands in the Park as Mickey’s journey continues. 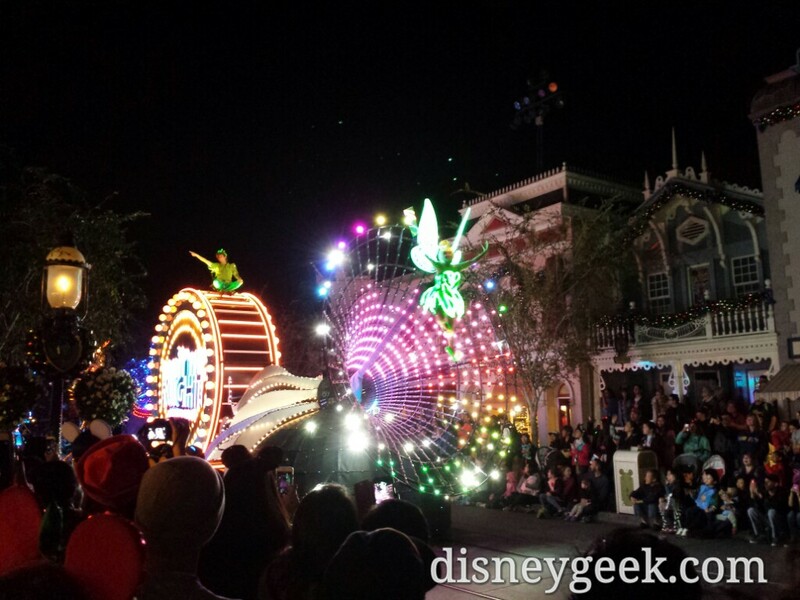 In the finale, the Disney Friends are shown with a mosaic of the 35th anniversary logo projected on the castle while pyrotechnics and lighting effects bring the magical, musical journey to a spectacular end. “Celebrate! Tokyo Disneyland,” with its images of popular attractions and everyone’s favorite Disney Characters, is certain to give Guests a sense of happy nostalgia. This grand musical journey around the Kingdom of Dreams and Magic can only be experienced during this summer period. Donald Duck, Mickey Mouse and their Disney Friends put on this fun and lively show inspired by a festive Mardi Gras carnival. The audience also joins in and helps raise the excitement of the show to a higher level. 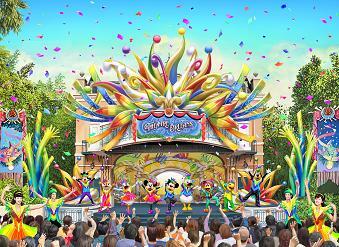 During the “Tokyo Disney Resort 35th ‘Happiest Celebration!’” event period, the show will also include the 35th anniversary theme song. This new show presented in the New York area of American Waterfront features Mickey Mouse and the Disney Friends discovering different ways to enjoy the big city. 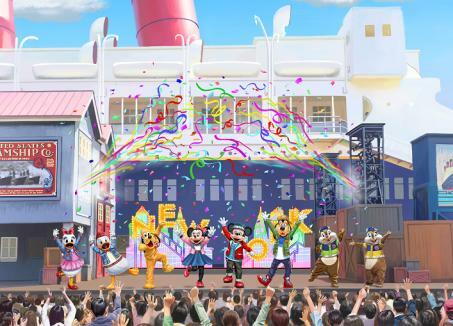 During the “Tokyo Disney Resort 35th ‘Happiest Celebration!’” event period, the show will also include the 35th anniversary theme song to add to the festive atmosphere. The Disney Friends have come to New York and are looking forward to enjoying its many charms such as Broadway and picnicking in the park. With honking cars and other city sounds in the background, they start exploring the town and discover many fun and appealing aspects of New York. They see New Yorkers doing acrobatic street performances on crates and walls downtown, while on Broadway they see some gorgeous dancing. 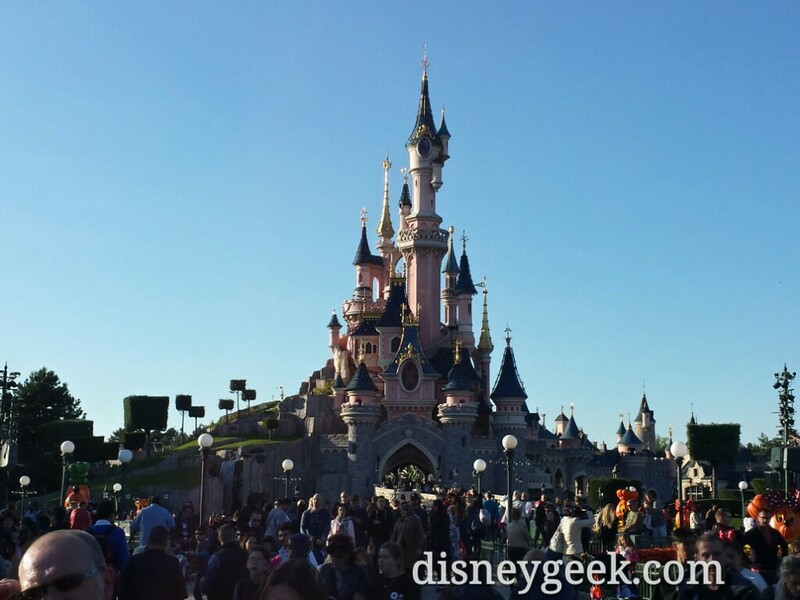 The Disney Friends are charmed by the city and have a wonderful time. For the finale, the audience joins in and the show comes to a dazzling close. About 45 different types of merchandise featuring motifs of the nighttime spectacular “Celebrate! 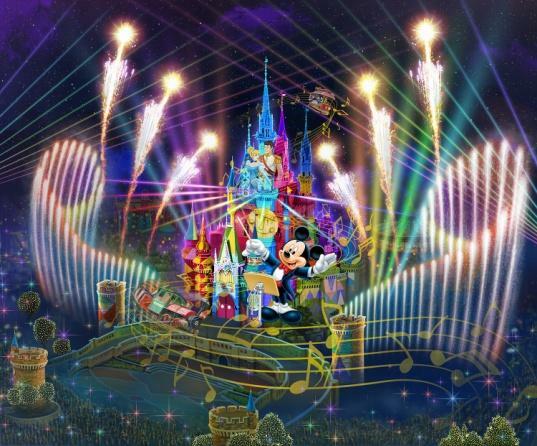 Tokyo Disneyland” will be offered, including T-shirts and light-up pendants. Also available will be plush badges of Mickey Mouse and Minnie Mouse wearing their costumes from the new shows “Let’s Party Gras!” at Tokyo Disneyland and “Hello, New York!” at Tokyo DisneySea. Notes: Merchandise will be available from July 8, 2018. Merchandise items are available in limited numbers and may sell out.